For updated information please refer to the page presenting the ships of Variety Cruises that are currently sailing the Greek seas. 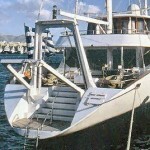 3 masts - 820sq.m. 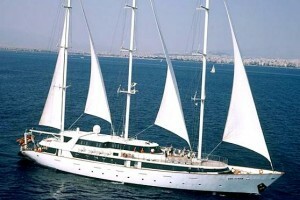 sails, 3 passenger decks, maximum 49 guests in 25 cabins, 16-18 crew members, lounge bar (upper deck), dining room - lounge bar area & library (main deck), sun deck with loungers & chairs, air-conditioned, TV & audiovisual equipment in lounge, Internet & email service, special meals programs, water sports equipment. 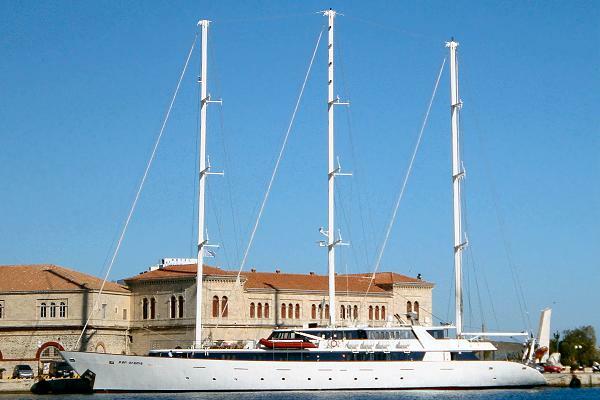 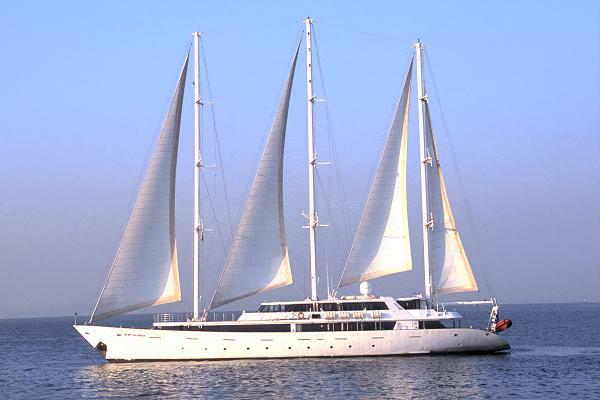 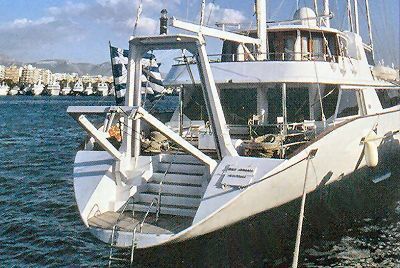 This state of the art sail cruiser has performed several Atlantic Ocean crossings, has sailed from the Seychelles to Monte Carlo and from the Black Sea to Tunis and offers the highest standard of accommodation, comfort and safety. 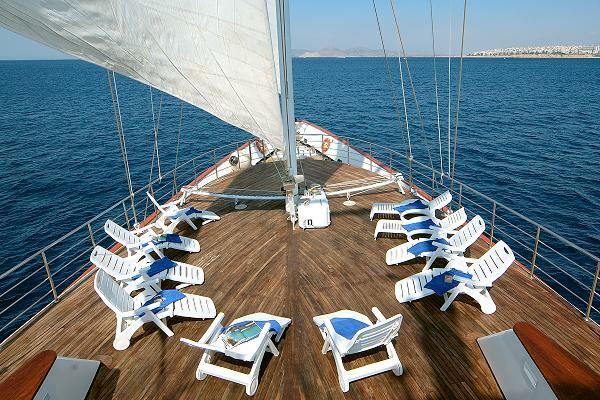 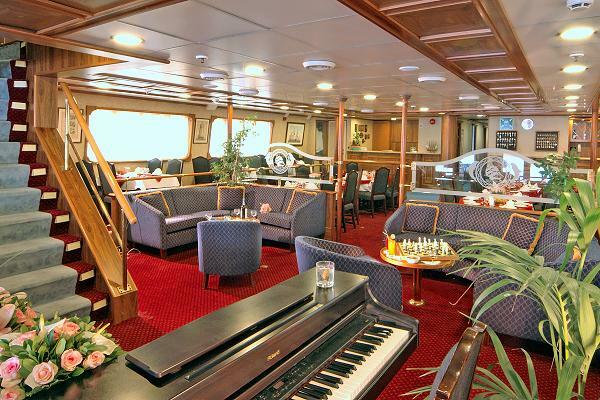 During the day, life on board centers around the outdoor areas, the two bars and the sun deck. 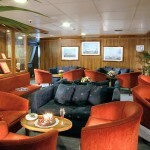 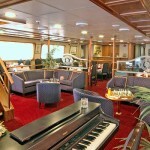 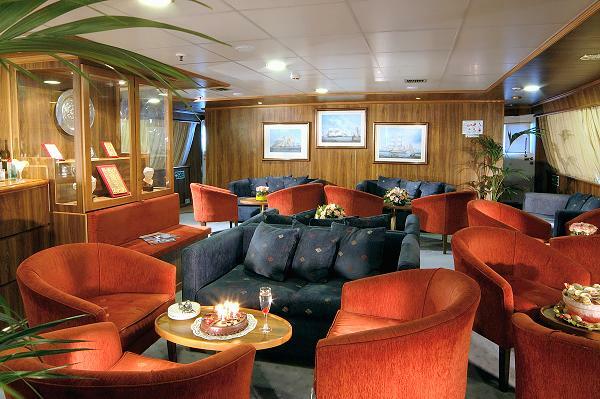 In the evening passengers can relax in one of the ship’s two lounges or the library and have a drink while listening to the piano music. 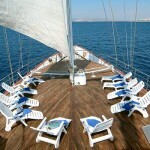 The swimming platform on the 'Panorama' stern enables passengers to swim when weather and anchorage conditions permit. 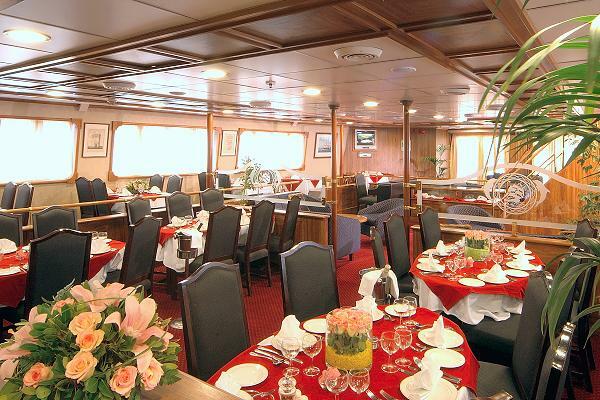 All cabins are outside ones, air-conditioned and fitted with TV, telephone for internal use, hairdryers, mini-fridge, central music, public address system and safe boxes. 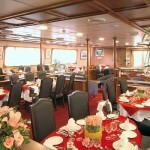 The fully equipped bathrooms are finished with marble.